Five of the Member-elects so far have made a come-back after having left active national politics for some years. 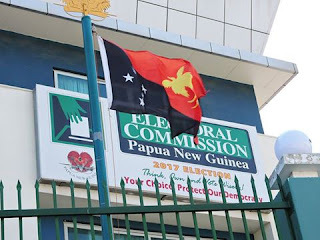 They are the Member-elect for Menyamya, Thomas Pelika, Member-elect for Koroba Lake Kopiago, Petrus Nane Thomas, Markham's Koni Iguan, and Manus Open Member-elect Job Pomat. Thomas Pelika had been out of active national politics for 15 years. He was in office from 1992 to 2002 and was Police Minister under the then Prime Minister, the late Bill Skate. He was implicated in the infamous Mujo Sefa tapes which detailed alleged bribery and corruption claims against Mr. Skate by his former advisor. He was later deputy leader of Opposition until he lost in the 2007 election. Petrus Nane Thomas had been out for 12 years. The former rugby league international, ran as a Peoples Progress Party candidate in the 2003 supplementary elections and was elected, after the failed 2002 national election in the electorate. He had contested the 2006 by-election as a Peoples National Congress Party candidate and lost, and again contested unsuccessfully in the 2012 national election under PNC. He returned this election as an Independent. Koni Iguan returns after five years, having held office from 2007 to 2012. He had lost the seat to Paul Isikiel in 2012 and defeated Mr Isikiel in this election. Job Pomat lost the Manus Open Seat to Ronny Knight in 2012, and unseated Mr Knight this election.